Having several free online storage accounts give you lots of space to store your files, but it very difficult to manage all these files same time. And also it difficult to remember which file are saved in which service. But with the help of OTIXO you can access and manage all your online files in one single place. 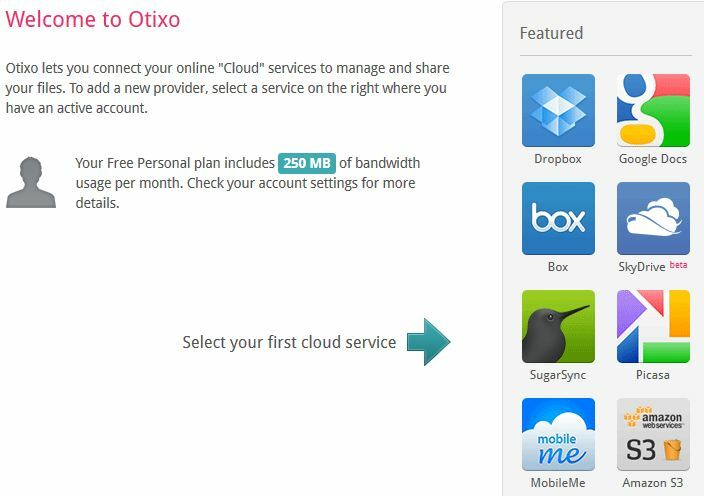 With OTIXO web service you can connect services like Dropbox, Box, Google Docs, SugarSync, Picasa, MobileMe, Amazon S3, FTP sites and WebDav drives in one place. You can get 250 MB of free bandwidth usage for per month or pay $9.99 for Unlimited Bandwidth Usage. To use the free service go to Otixo and signup for free account. 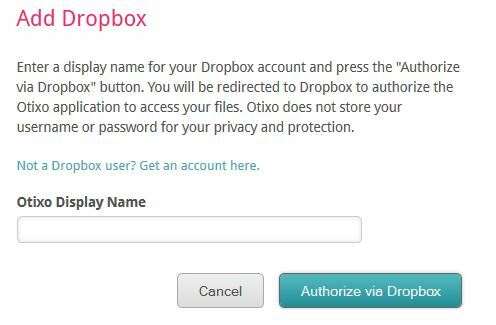 After the signup choose the cloud service that needs to be linked to the Otixo account. All popular cloud apps are supported just select your service and continue. Enter your name and click ‘Authorize’. A request will be sent to the cloud service provider and you may need to sign in to confirm. Click ‘Grant access’ to sync the account. After the authorization of your Online account, you can see all you online account at one place. All the cloud services are listed in a panel on the left. To view files in another cloud, simply click it and and files will be synced. Now from the above toolbar you can copy or cut and then paste files from one connected cloud service to another. You can also rename and delete files. Click Download to save the file locally or upload a file from your PC to a cloud account. Great tool as it becomes difficult to manage multiple cloud accounts at the same time. Not as powerful and not as many Cloud Services as the SMEStorage service, and pricy at $9.99 per month….think I’ll stay with what I have but nice to say this aggregator space becoming competitive.